No leader is immune to having their confidence shaken. And when it happens, depending how hard you’ve been rattled, it can cause you to begin second-guessing your leadership. Decisions can become more difficult. You begin to feel unsure of yourself. How do you get your leadership confidence back? When you’ve been rattled as a leader and you need to regain your confidence, there are four places you need to go back to. Christian leaders work for reward beyond this world. The world’s leaders may work for dollars and stuff, but we work for rewards received in eternity. In fact, we work for rewards we’ll give back to the Redeemer who saved us. So, determining whether or not a leader is acting from a heart of Christlike service requires charitable, patient, humble discernment. It’s not simple. There’s no one-size-fits-all servant leader description. The needs and contexts in the wider church are vast and varied, and require many different kinds of leaders and gifts. We must guard against our own unique biases when assessing leaders’ hearts. 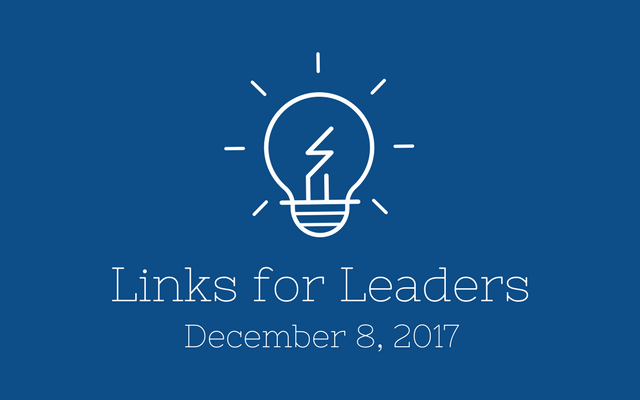 Each of us is more or less drawn to certain kinds of leaders, but our preferences can be unreliable and even uncharitable standards. There will be times when your whole team will need to meet to talk about things that are critical to learn about together so that everyone gets the same information at the same time. In this instance, give your team the critical information they need as briefly as possible and then follow up with a more detailed email or allow managers to talk through the details with their individual teams. Many great leaders are reserved, introspective or introverted. Again, it’s not about personality; it’s more about making something happen. Great leaders don’t just get things done, they make things happen. There is a big difference. Being a closer – that is successfully finishing what you start, it is a vital part of successful leadership, but making things happen is the action that triggers momentum.